84 (Coventry Airport) Squadron Air Training Corps: Jog on Cancer! 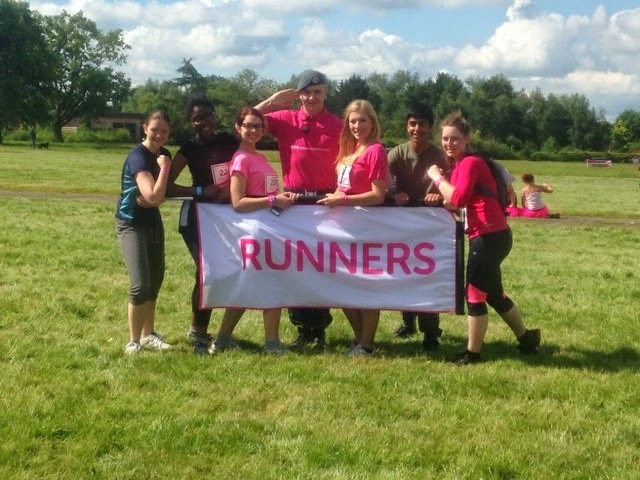 On Sunday 29 June, Cadets and Staff from 84 Squadron took part in and helped organise the Cancer Research UK Race For Life event at Stoneleigh Park, Coventry. Lead by Flying Officer Rosie Chapman, 6 female cadets lined up to take on the challenge of the 5K course at Stoneleigh Agricultural Park. The Sun shone and kept the group in high spirits as they all crossed the finish line in under 40minutes flat! Meanwhile, Flight Lieutenant Nathan Adams and the boys were tasked with helping set up the start of the course and then were on hand to hand out over 3000 medals and water bottles to all the race competitors. 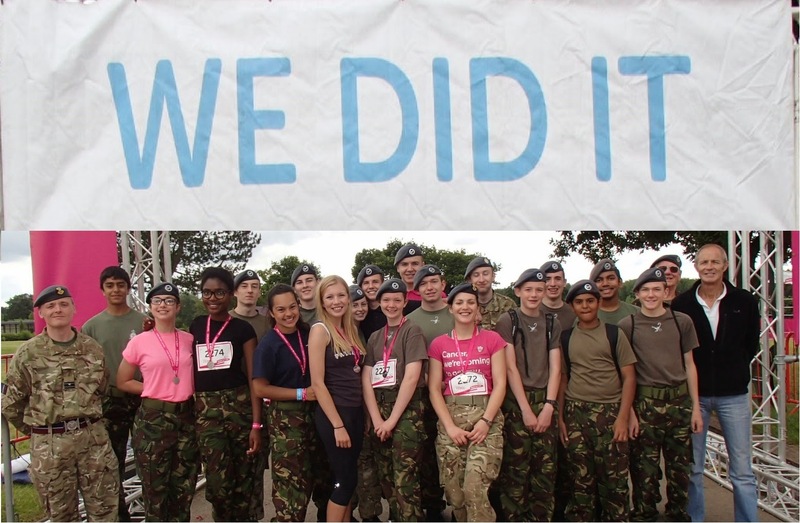 Fantastic effort to both teams of cadets, a great support to the Cancer Research UK team and an asset to the Squadron in their professional and diligent manner in getting the task done whilst raising awareness and money for a very worthy cause.